We’re in the midst of an automobile revolution. The car, as we know it, is rapidly changing form. It started with the electric car, which now has the attention and investment of most major car companies. Ride hailing and sharing programs changed the commute. Autonomous vehicles are just a few years away from being mainstream. (Waymo is debuting their autonomous ride hailing service in Phoenix) Our cars are being rapidly propelled into the future. 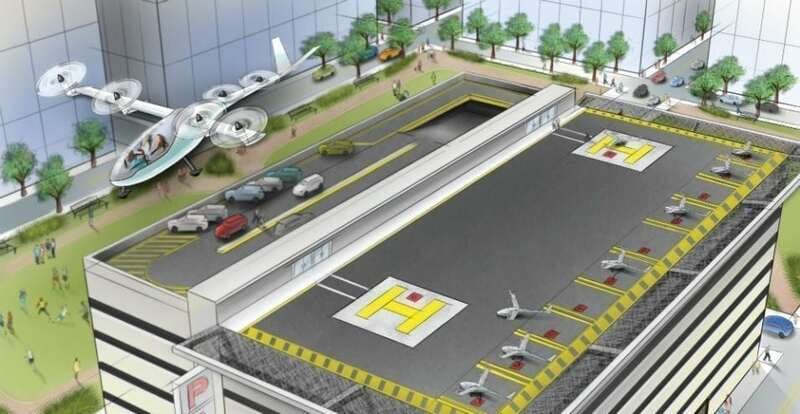 In fact, just a little over a year ago, Uber began conceptualizing flying cars. The project, called Uber Elevate, was announced late October of last year and has been relatively quiet since. That is, until today. Once again, Uber is setting out to change the commute. Per their website: “Vertical takeoff and landing (VTOL) aircraft will bring far-reaching changes to our cities and our lives — quicker daily commutes, less traffic congestion, and cleaner air around the world. Uber Elevate has already started exploring the barriers we’ll need to overcome to make this a reality.” The company believes that they can develop an affordable and convenient mode of air transportation, able to take commuters above traffic completely, reducing travel time between San Francisco’s Marina to downtown San Jose from two hours to 15 minutes, for example. But, the once quiet project has made some noise today with a number of announcements. At the Web Summit in Lisbon, Uber’s Head of Product Jeff Holden announced that the company is adding a third city, Los Angeles, to its testing ground. The pilot programs are slated to take place in 2020, now in L.A., Dallas-Fort Worth, and Dubai. Additionally, Holden announced that Uber and NASA have signed a Space Act Agreement in order to create a brand new air traffic control system to manage these low-flying aircrafts. The company also released an in-depth video demonstrating what this aerial transportation system might look like, which can be viewed here. These are exciting developments if Uber does want to begin testing these machines starting in 2020. However, the aircrafts that Uber envisions do not exist yet. The infrastructure isn’t even there. But, there are companies currently working on this technology, from tech giants like Boeing and Airbus to younger startups like Kitty Hawk (owned by Larry Page). Uber has also developed partnerships with a handful of aircraft manufacturers, including Bell Helicopter and Embraer. The project is continuing to make strides, and today’s announcements are some of the most significant. Holden concluded that more alliances will be announced in the future. While other companies are just engaging the electric car hype, Uber is looking even further ahead. Previous article So You Missed the Bitcoin Bandwagon. Now What?